When professor Alice Robbin went to meet her two mentees for the new Faculty Mentoring Initiative, she was a few minutes late coming from a class. Searching in the the Neal-Marshall Black Culture Center’s Grand Hall among the hundreds of mentors and students, Robbin spotted her mentee. The mentee’s first reaction was not to shake her hand or say hello, but it was to give Robbin a hug. Robbin is a part of a new student-to-faculty mentoring initiative through Mentoring Services and Leadership Development within the Office of Vice President for Diversity, Equity and Multicultural Affairs. 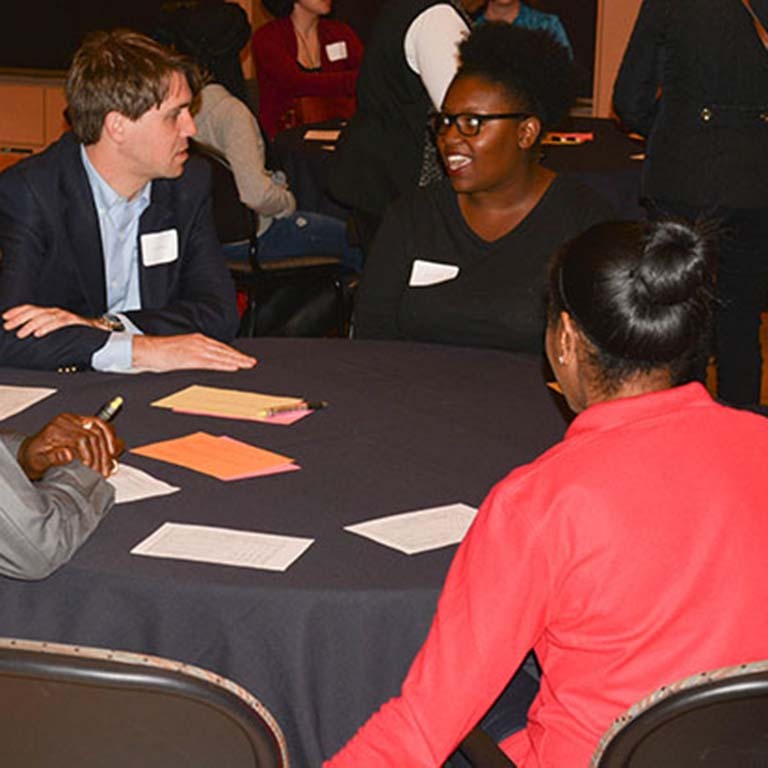 IU’s new mentoring initiative is primarily focused on student retention and timely degree completion as well as making sure students have the resources and contacts to graduate, said Arnell Hammond, director of Faculty Mentoring Initiatives. The program originally started by contacting interested students at IU’s cultural houses like La Casa Latino Cultural Center and the Asian Cultural Center, Hammond said. People started forwarding the information on to friends and the program has since opened up to any interested sophomore, junior or senior. “The VP thought it would be helpful for undergraduates, and it’s something that faculty said they wanted to do,” Hammond said. Robbin was paired with two students because of similar interests. One mentee is interested in studying abroad in France. Robbin has contacts there because she researches every summer in France, and she said offering networking opportunities is a big part of her role as a mentor. The Faculty Mentoring Initiative will offer a few scheduled program-wide events, but mentors and mentees decide when they want to meet one-on-one, Hammond said. Robbin said she will meet with her mentees as much as they want. Robbin herself said she decided to become a mentor because of the strong and supportive mentoring she has received in the past. But for Robbin, there is a bigger picture behind her mentoring. “There are so many students who don’t have an opportunity to have guidance when they are at the university,” Robbin said.